Health and medical news from Tristan da Cunha and its Camogli Hospital. I still follow Tristan news with interest since my visit on the RMS in 2011. I have kept up my Tristan Association membership and enjoy reading the magazine to catch up on the news. Last time round the magazine included a feature on your new Camogli Health Centre and it so happens that the same contractor, Galliford Try, are engaged in building work for the Ministry of Defence on my neighbouring island of St Kilda, just fifty miles west of Benbecula. On one of my trips to St Kilda in May, I discovered the one of the workmen had been working on the Tristan project for eight months before he came to St Kilda. 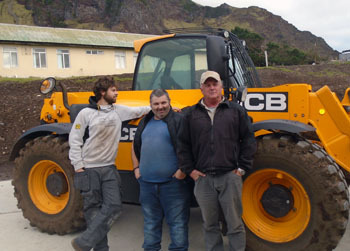 I was back out on St Kilda a couple of weeks ago, and I got a chance to meet up with Eirian (Sbonge) and left him my copy of the latest 'Tristan da Cunha Newsletter' to read the article on the Health Centre as he also appeared in the photo of the workmen taken in front of the completed building. 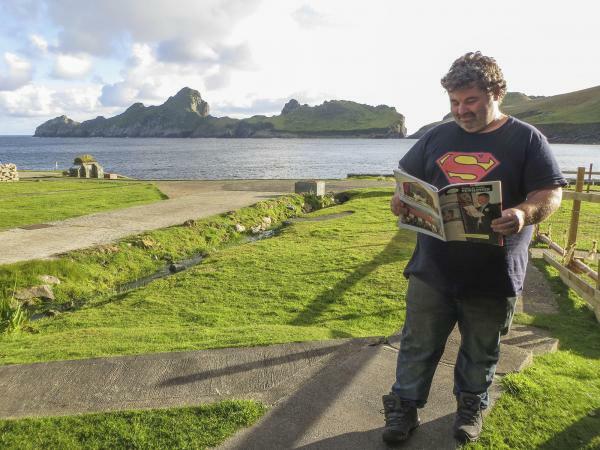 I have attached a photo of Sbonge with the magazine taken on St Kilda on 16th September with the island of Dun, part of the St Kilda group,in the background. A small world as they say. Editor's note: St Kilda is the remotest of the British Isles, and was famed for its remote island lifestyle, not dissimilar to Tristan's. In 1930, like Tristan, the whole population was evacuated to the mainland, but unlike Tristan they were dispersed and never returned. The isand has not been permanently settled since. 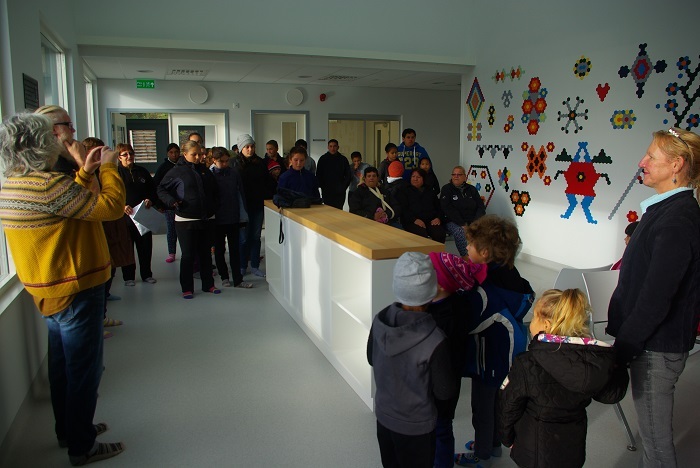 Children from St Mary's School visited the new Camogli Healthcare Centre to see their artwork in place. 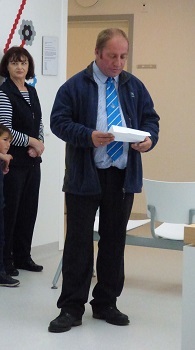 Tristan's eldest resident opens the new Camogli Healthcare Centre. Final group of Galliford Try contractors depart Tristan as the Healthcare Centre is completed.